NATIONAL tennis player Aidan Carter is now ranked among the top 1,000 in the world by the International Tennis Federation (ITF). Carter, speaking to Newsday recently, said he is hoping to win a tennis scholarship to a division one US university, which he said will help him get closer to his goal of competing in a Grand Slam tournament. A press release by Tennis TT said, "The Tennis Association of TT congratulates Aidan Carter for being the first player since Ty and Josh Abraham to break into the ITF top 1,000 back in 2014." Carter, currently ranked 839th, leapfrogged Joseph Cadogan at 860 to become the number 12th player on the all-time TT ITF player rankings list under the combined system (singles and doubles combined ranking), which was established in 2004. Speaking about his new ranking, Carter said, "I think it is a big accomplishment, because at the start of 2018 my rank was at 2,200 – so I moved up over 1,000 places." Carter, a 16 year old Lower Six student at St Mary's College, said he takes his tennis quite seriously and has a plan to make it to the highest level. He said, "One day (I want to play at a Grand Slam), but right now my goal is getting a scholarship to a division one university, which is the highest tier university tennis. I plan on going there first because education is a priority, and after there I will see how it goes and hopefully one day (play in a) Grand Slam." Carter has been playing tennis since he was six years old and started playing competitively at nine. He is currently enrolled in a high performance training programme under coach and ex-national champ Yohansey Williams of Tobago, who achieved a ranking of 321st in 2006. 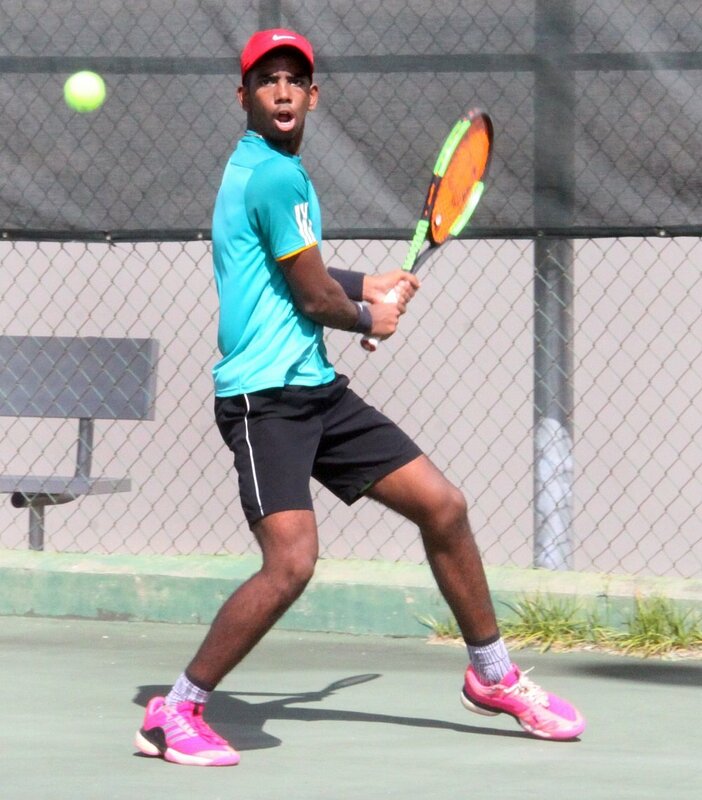 Carter said his free time is currently limited as he is preparing for Caribbean Advanced Proficiency Examination (CAPE), but plans to participate in the ITF series in the Caribbean. "I have CAPE coming up soon so my timetable is kind of limited, but I plan to play an international hosting (ITF) in Trinidad in April (and a tournament in) Barbados as well in April. In summer I will start playing even more tournaments because I have a lot of time there." Last year, Carter made an unbeaten singles run at the Junior Davis Cup, he won the men's singles title at the Tranquillity Open and claimed two ITF doubles titles. Reply to "Carter eyes US tennis schol"